Nigerian passport holders are no longer eligible to three months UAE tourist visa. 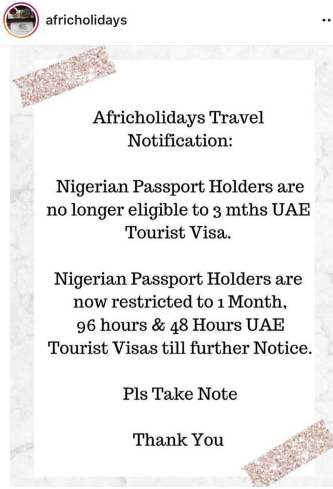 According to Africholiday, Nigeria passport holders are now restricted to 1 months 96 hours and 48 hours UAE tourist Visa till further notice. 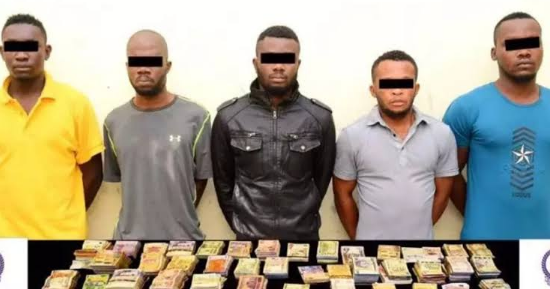 Some says it's because of the Five Nigerians arrested for robbery, others say the condition is not new and that it's been that way since January. Whatever the case, Nigerians abroad need to do better.